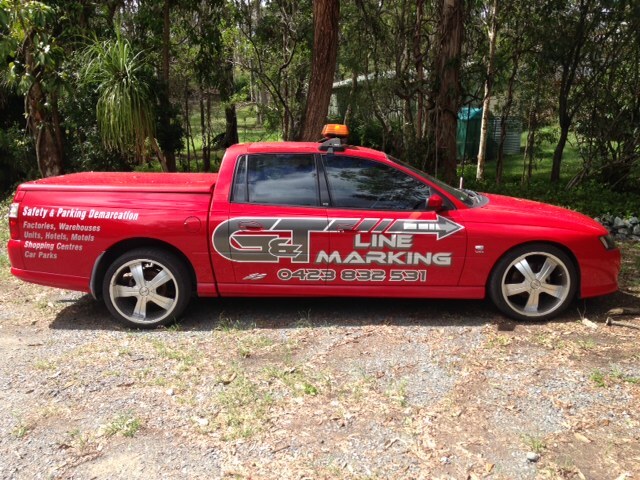 Specialists in line marking in Brisbane G & T Linemarking are specialists in line marking in Brisbane and SEQ. We offer a range of line marking services at competitive prices. G & T Linemarking are specialists in line marking in Brisbane and South East Queensland (SEQ). We have been servicing this area for more than 15 years. We are heavily involved in our Local Community and sponsor a number of sporting clubs, as well as providing donations to organizations, such as the Breast Cancer Foundation and the Mater Children’s Hospital. We endeavor to maintain excellent relationships with all of our clients and offer a wide range of innovative, high quality, precise line marking services to industrial, commercial and residential customers. We specialize in the application of Waterborne and Chlorinated Rubber paints, Preformed Thermoplastic application, Raised Pavement Markers (RPM), installation and removal of various existing paints. All of our work meets or exceeds the relevant Australian Standards for the industry. We take all relevant MSDS with us on each site, and all our team members are trained in the use of work method statements, which are adhered to at all times. Our company is fully insured and can produce the documents at customer’s request. We supply and install a diverse range of Safety Products, including wheel stops, speed humps, convex mirrors, safety bollards and much more. We also provide high pressure cleaning and grinding services to our clients. At G & T Linemarking we take pride in our commitment to customer satisfaction. We work the times to suit our customer’s needs and businesses and we ensure that our client’s specific needs are always met. We have a robust reputation for being leaders in line marking in Brisbane. Our team is managed personally in one on one training to ensure service output meets and exceeds our client’s expectations. We have all the experience, skill and equipment to maintain high quality standards for any job. We thrive to deliver satisfaction and add value to our new and existing relationships with our growing clientele. If you want to discuss how line marking in Brisbane can improve the safety on your site, call us on 0423 832 531 for a free quote.